The rise of demand side platform (DSP), a system that allows the management of multiple ad campaigns in different channels through one interface, and programmatic buying in Asia started a few years ago. 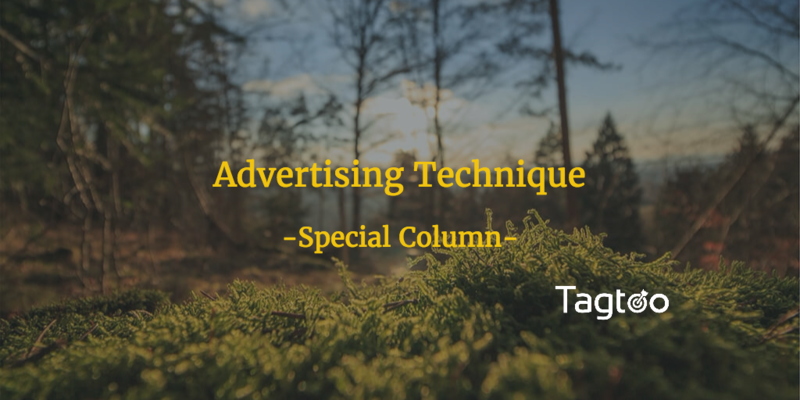 It was a time when digital ad industry saw the sophistication in ad techniques and people desperately chased the best ad techniques. However, those widely adopted ad techniques no longer satisfied advertisers' huge appetite for greater profit. They were craving for something more powerful and more attractive. Surprisingly, the emergence of DSP and programmatic buying came at a perfect timing and, in the wink of an eye, became the star of tomorrow in the digital ad industry. More precisely, it created a win-win situation. In terms of publishers, they could monetize the surplus inventory by connecting to previously unreachable advertisers. On the other hand, unlike traditional media buying, programmatic buying focuses on audience-oriented targeting methods to avoid unnecessary and inefficient ads display, which strongly found favor in the eyes of advertisers. This outstanding solution fixed the longstanding defects existing in other ad techniques, revolutionizing the entire industry. While DSP and programmatic buying seem perfect and flawless, the overall development actually didn’t go smoothly as planned. The opportunity of creating higher profit determined where a new company might be. In such an increasingly competitive industry, more and more companies scrambled for a piece of the action. Companies boldly claiming the capability of programmatic buying sprang up like mushrooms, signifying a bright picture and a vibrant ecosystem. Nevertheless, the problem worth noting is that not every advertiser or advertising company fully understands what programmatic buying is. For example, an ad network could fake itself as a DSP by segmenting placements inventory it owns based on media attribute. Worse still, there are more recklessly asserting their authenticity of DSP even without any resources or connection with Ad Exchange or ad network. In a broad perspective, the great prosperity of DSP seemed a bubble in the ad industry. While the advent of DSP and programmatic buying make advertiser believe the new techniques would bring ad performance to another level, there indeed exists common misunderstanding and misconception toward this ad technique. In the past few years, tracking online ad campaign was a piece of a cake. The static display placement made it easier to check where advertisers’ ads had appeared. The total transparency not only significantly reduce suspicion toward undesirable traffic but also burgeoned mutual trust for publishers and advertisers. However, ad tracking becomes a hot potato to handle with the coming of programmatic buying. Despite the fact that the striking versatility to different platforms and massive reachability to millions of websites are mostly highlighted, the lack of visibility is challenged and castigated. That is, advertisers can only rely on post-campaign reports to identify where their ads had gone. Now that real-time tracking is inaccessible, it somehow leaves room for deception to creep up and it allows people with vicious intention to take advantage of this situation. To be more precise, non-human traffic, including scrapers and spammers, is commonly observed. Massive traffic from online gambling website or adult website is also frequently reported, which is not what advertisers would like to anticipate. Unsurprisingly, the endless duplicitous incident rapidly cast a shadow over the entire ad industry, causing a big loss in advertising companies' reputation and devastating advertisers’ long-standing confidence. One of the popular misconceptions toward programmatic buying is precise targeting, a term often exaggerated excessively. Precise as it is called, under no circumstance does it mean ads can be delivered to audiences who is extremely likely to make a purchase right away, nor does it indicate performances of every ad campaign would absolutely exceed the ones with non-programmatic buying. More clearly, precise targeting theoretically only guarantee audience seeing advertisers’ ad is basically selected under specific conditions, such as particular interests and certain age segment. Whether the audience is likely to buy products or download apps are another matter obviously. In addition to that, even performance-based ad campaign can’t target every audience showing a strong affinity for advertiser’s products or services precisely. The performance-based model requires a series of steps involving machine learning to optimize ad campaign by trial and error and further target the most possible audience. Programmatic buying is powered by data. The amount of data will not only determine how precisely you are able to target potential audience but also decide the remaining winner at the end of the fierce competition. The big picture, however, is never complete without the data from the offline world in terms of precise targeting. That’s especially true when most major advertising companies nowadays are holding nearly equal amount of data at the same level. In other words, the determining factor leading to the success will lie on the solution of data onboarding, the process of linking offline data with online attributes. In reality, there are many conflicting issues regarding data onboarding. Privacy dispute and data integration from different technology systems, such as ibeacon and wifi, and cross advertisers are all the thorny hindrance awaiting removal. More importantly, that is the area where every advertising company should work on in a short term in order to cement the leading position. The business model of DSP and programmatic buying is attributed to the information asymmetry. Their existence simplifies the complex process of ad auction and, furthermore, reduces the entry barrier for advertisers. But, there’s something undeniable all DSP companies need to face in the coming years. Sooner or later, all the campaign setting in programmatic buying can be done by advertiser alone. As more advertisers embrace the power of this ad technique and become familiar with it, the advantage, the so-called information asymmetry, would no longer exist. As such, it is expected that the business model would not be viable soon in the market. While it may look pessimistic ahead with respect to the future of DSP company, there might be one possible way out — the self-serve model might be the best replacement. With the developed infrastructure and established resources, advertising companies could take less effort to pivot to become solution providers, which also offers more flexibility and transparency for clients.